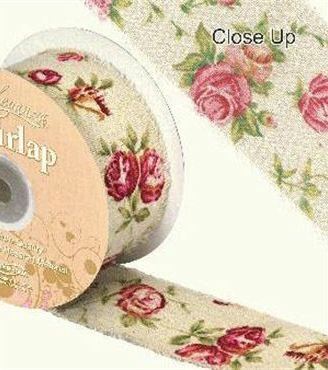 1 Metre of premium quality vintage rose burlap ribbon. 38mm wide. 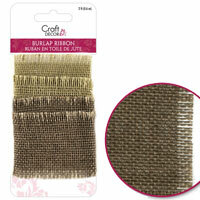 Burlap ribbon 30cm of each colour on a card. 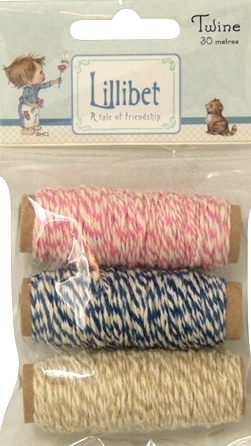 3 Spools of butchers twine in pink, blue and brown, displayed on charming wooden bobbins, each spool has 10 metres of twine. 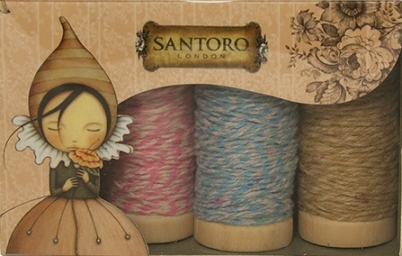 3 coloured spools of twine each containing 10m lengths of thick blue, pink and beige threads. 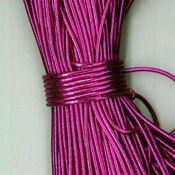 Thick Sparkle- 6 Colours 3 Yards Each. Colours are: Orange, Pink, Turquoise, Green, Purple and Royal Blue. 100% natural and biodegradable. 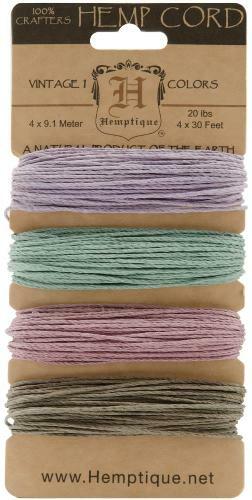 This is an Earth friendly alternative to other synthetic cording! Strong and durable, it's excellent for scrapbooking, making belts, necklaces, bracelets, and more! Includes 30 feet each of colours Black, Red, Green and Natural. 100% natural and biodegradable. 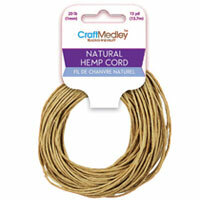 This is an Earth friendly alternative to other synthetic cording! 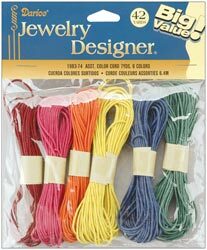 Strong and durable, it's excellent for scrapbooking, making belts, necklaces, bracelets, and more! Includes 30 feet each of colors Bright Turquoise Blue, Orange, Lime and Off White. 100% natural and biodegradable. 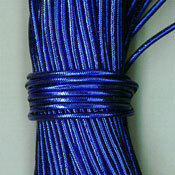 This is an Earth friendly alternative to other synthetic cording! Strong and durable, it's excellent for scrapbooking, making belts, necklaces, bracelets, and more! Includes 30 feet each of colors Hot Pink, Teal, Orange, White. 100% natural and biodegradable. 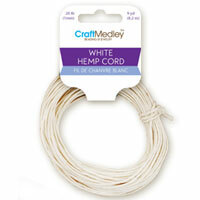 This is an Earth friendly alternative to other synthetic cording! Strong and durable, it's excellent for scrapbooking, making belts, necklaces, bracelets, and more! 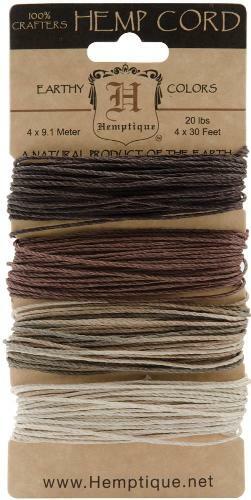 Includes 30 feet each of colors Pale Lavender, Dusty Pink, Pale Baby Blue, Pale Gold. 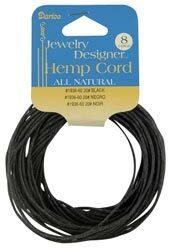 8 yards of all natural black hemp cord. Pack of four coordinating colours, each approx 1.2m in length. 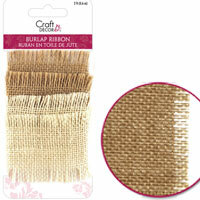 Bundle of plain raffia for all your crafting needs. Pack contains 3 yeards. Diameter 1mm. Pack contains 3 yards. Diameter 1mm.